This forced the Mnangagwa group to proceed with their next course of action, namely the impeachment of Robert Mugabe. This process was initiated in Parliament on the 21st November. Amongst other charges Mugabe was accused of allowing his wife to ‘usurp Government functions’ and ‘state resources’, as well as ignoring all ‘allegations of corruption and misappropriation of public funds’. On the same day Mugabe sent in his resignation letter to the Speaker of the House of Assembly. In the letter Mugabe wrote that his decision to resign was ‘voluntary’ and arose from his concern for the welfare of the people of Zimbabwe’. The resignation was greeted with another round of national celebrations. On the 24th November Emerson Mnangagwa was inaugurated as Zimbabwe’s new President. The irony of these developments is that both factions, in this internecine struggle within Zanu PF have been at pains to deploy the language of constitutionalism while in the past they have all worked to undermine the constitutional rights of the Zimbabwean citizenry. The military have been central to Mugabe’s authoritarian rule, playing a key role in preventing a constitutional change of government through elections for most of the 2000’s. It has carried out mass violations of human rights and been responsible for mass atrocities such is the Gukurahundi massacres in the mid 1980’s. The Generals have for a long time made it clear that they are the arbiters of rule in Zimbabwean politics. The long held perception that, despite the defining role of the military in Zanu PF and state politics Mugabe remained in firm control of the armed forces, has been decisively challenged. SADC responded positively to Mugabe’s resignation hailing the ‘discipline and peacefulness of the people of Zimbabwe’. Despite the SADC commitment to constitutionality, it can be argued the South African government in particular, since the time of Mbeki’s mediation, has favoured a reformed Zanu PF through the stabilising force of the military, as the preferred option of change in Zimbabwe. It is also likely that the EU and the UK will come on board with this change. Since the 2013 election which once again kept Zanu PF in power, the EU has been at pains to find a workable means of engagement with the Mugabe regime, particularly through assistance given for electoral reform. As it is clear that there is unlikely to be any serious electoral reform ahead of the 2018 elections, the continuation of Mugabe’s Presidency would have presented a real challenge for the EU. Some form of reform process without Mugabe will provide them with a new opening for further engagement, as it will for the British Government. 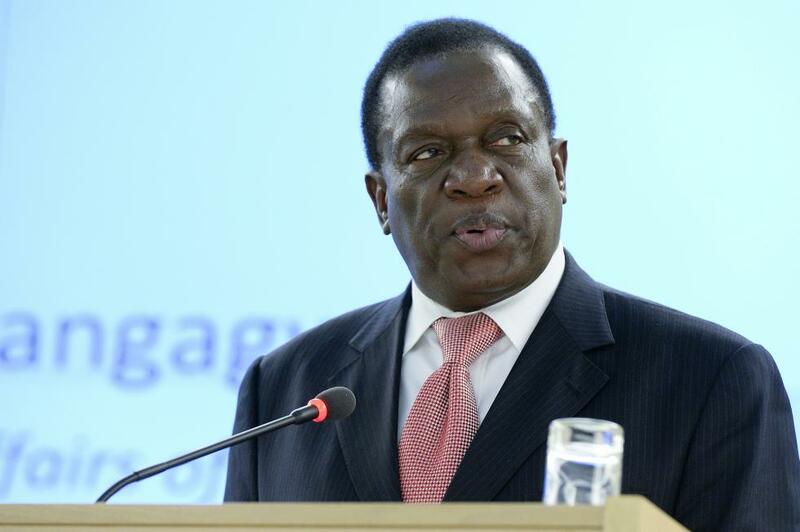 In his first Presidential address Mnangagwa pledged that his administration will carry out various economic stabilisation measures including, promoting a market economy, ensuring the safety of foreign investment, and compensation for white farmers who lost their land in the Fast Track Land Resettlement Programme. Clearly Mnangagwa wants to quickly move the debate away from the form that this transfer of power to his Presidency has taken, to a discussion on the economy, and renewed international engagements. The dominant mood of seeking economic and political stability at almost any cost in Zimbabwe has provided the space for the military to legitimise their intervention in favour of Mnangagwa. The opposition political forces, deeply divided as they are, will be further weakened by these events. They may be drawn into some form of Government of National Unity in which they will have a marginal and negligible role. The new face of Zanu PF, drawing on the massive popular goodwill displayed on the 18 November march, will use this time and space to rejuvenate Zanu PF’s fortunes and go for an election in 2018. As a carefully choreographed scheme, this military intervention has proved a masterly stroke by Mnangagwa and his supporters. However this will be at a high cost for future democratic alternatives in Zimbabwe.